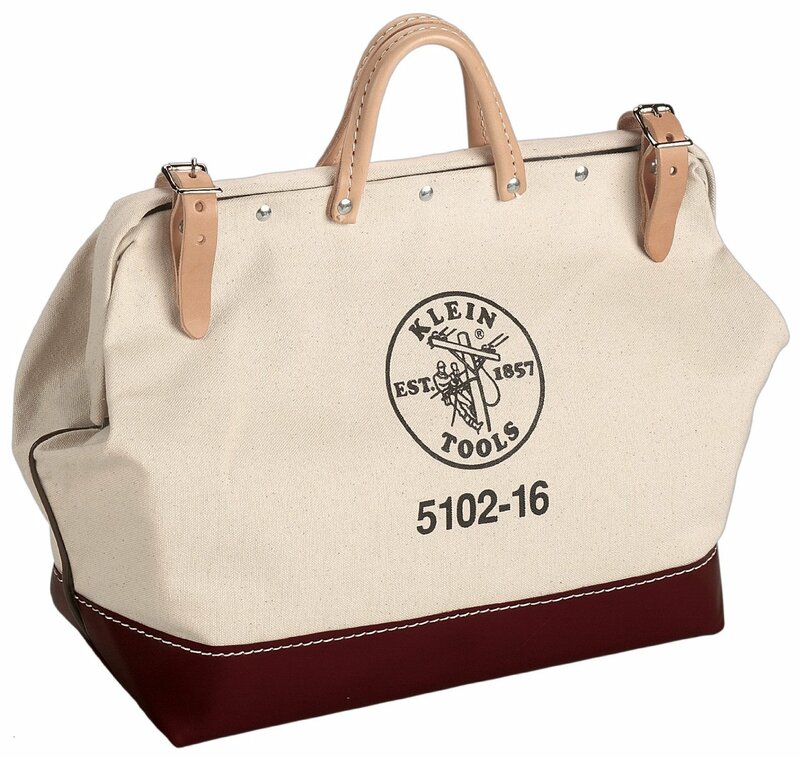 You are here: Home > The canvas Klein tool bag….. what I really wanted. The Klein Tools 5102-24 Canvas Tool Bag, 24-Inch…. this is the bag I really wanted. My main problem was the “Moisture-resistant, vinyl bottom and lower sides”…. I really have to have waterproof. Even though I have no clue if Klein makes this bag in the USA…. I would support Klein over other bag manufacturers just because they support the USA. Unlike the bag I ended up purchasing.